Note: This section is currently being rewritten for the 2019 season. 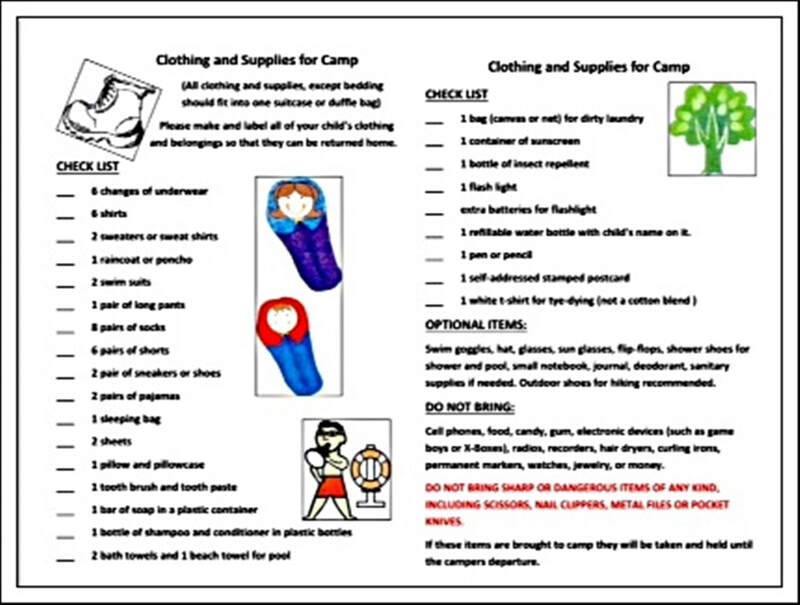 It is easy to pre-register your child for a week at the Elks Camp Barrett's Summer Camp. All pre-registrations are made through your local Elks Club. 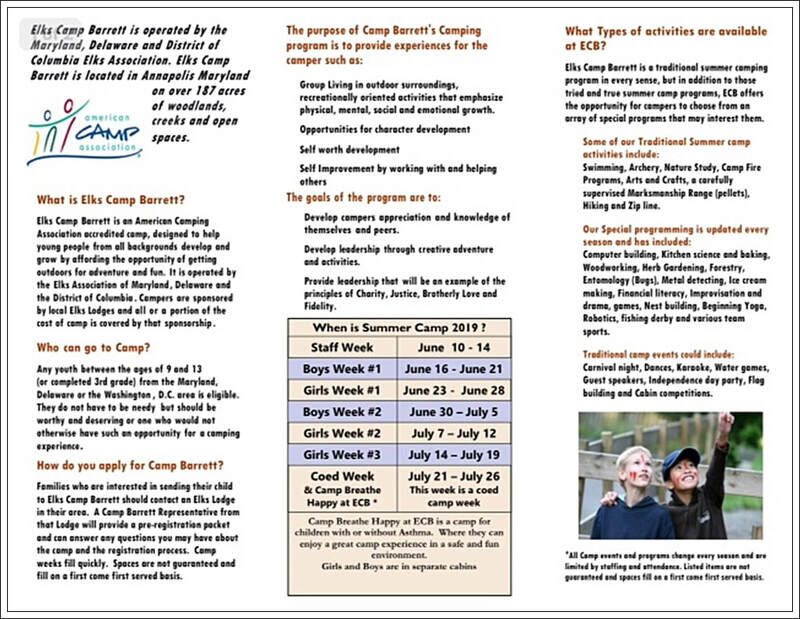 To pre-register, first review the Elks Summer Camp Brochure which is below and select the week that us best for your child. Next print a copy of the Pre-Registration Form and complete it. 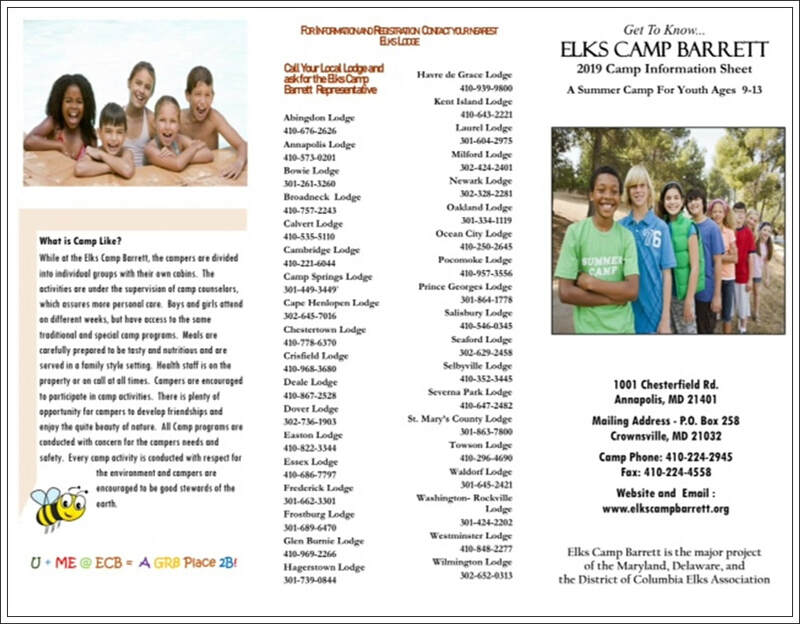 ​Obtain the telephone number of the closest Elks Club to you by opening the Directory of Local Elks Lodges or from the listing on the Elks Summer Camp Brochure. ​After the pre-registration acceptance, it is necessary to complete a detailed camper registration online. .